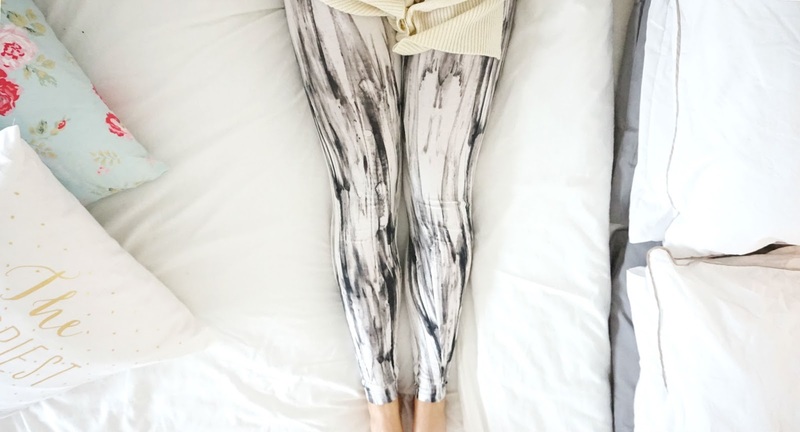 Day Dreams & Leggings | Lazy Days Embraced | H A Y L V O G E L.
If you're like me - when it comes to a day off you normally have a million things in your head that you want to get done and you're ready for the most productive day of the year, everything's planned out and you're raring to go. And then the day off arrives..
Before you know it, it's now 5pm and you've done nothing but eat, sleep in too long and get some food stains on your pyjama bottoms. You feel like you've wasted the day and end up feeling even more tired than you did when you woke up. (If this just happens to me, than I apologise for roping you in on my lazy day thoughts.) But then it dawned on me, days off are meant for relaxing and chilling out, giving you a day to literally do nothing if you please. I've started to realise doing nothing sometimes isn't a bad thing, and can make you feel 10 times more motivated the next day after you've rested and got back on track. I love a lazy day. There's always a lot of negativity related to a lazy day, and I don't think we should all put so much pressure and stress on ourselves to try and get as much done in the only day of the week we have off - because it often sets you up for failure. I always used to feel very disheartened if I didn't manage to achieve all the plans I had in my head and it would make me feel very down and unmotivated. Which is never the outcome you need! 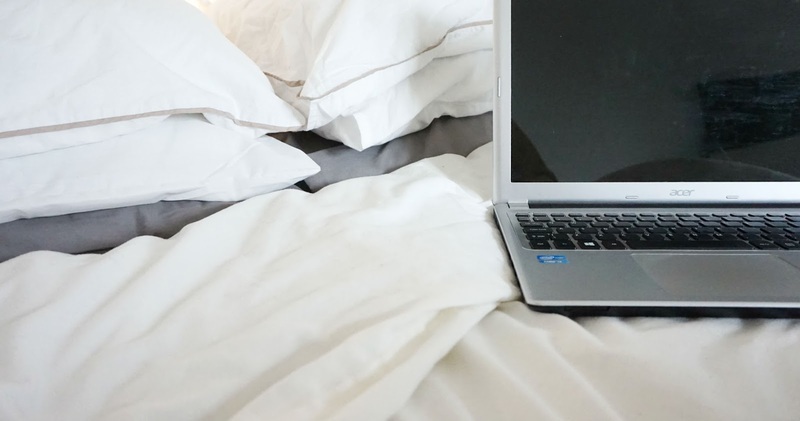 It often affected me for the whole rest of the week and I wouldn't feel like doing anything - this also affects my blog, which then leads to more unmotivated feelings and it becomes a vicious circle. I've since abandoned those negative feelings and have tried to concentrate on the things I do achieve rather than dwelling on the things I haven't. It's very important to make sure you always stay positive and praise yourself when needed, rather than constantly trying to put yourself down - something I've come to learn myself. I always look forward to having a lazy day/day off, especially on a Sunday. We should all embrace the free time we have and promote lazy days for all, hooray! Nowadays, whenever I have a day off, I make sure I don't bombard myself with a million and one things to do and try to plan my time out better making sure I always have content idea's for my blog and I'm constantly on the look out for inspiration to keep myself motivated. And this is something I think is important for everyone to remember - having some time out once in a while is perfectly fine and needed. I have a lot of exciting things coming up on HV and I can't wait to share them all with you. 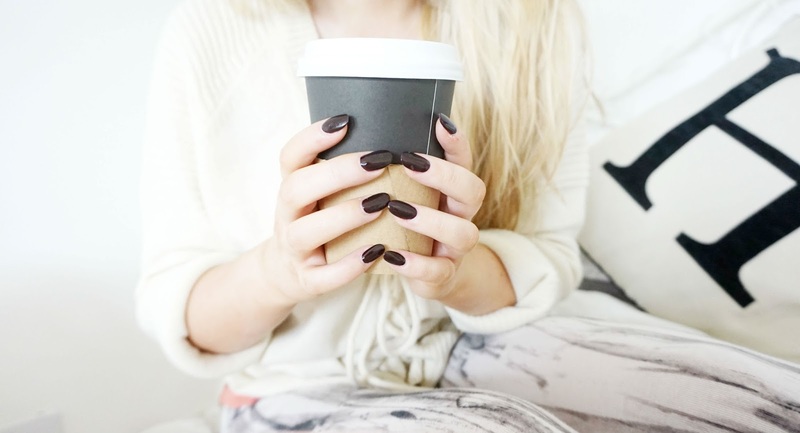 I enjoy wearing my comfy clothes, drinking a thousand cups of tea and catching up on all my missed programmes/tv series/netflix/youtube and blogs and having the perfect lazy relaxed day. Not forgetting the delicious food I fill my tummy on throughout the day, some more cheese anyone? A refreshed and relaxed mind leads to a much happier week. What's your perfect day off? Love your photos so much girly!! Those leggings are stunning!! And I agree.. Nothing wrong with lazy days.. In fact they're the best!!! Everybody needs them every now and again! Fab post darling! I'm all for lazy days. They tend to be Sundays because I lock myself up in my room and only leave for food and using the bathroom! I love your blog photography! Those leggings look so cosy, much more fun then plain black as well! Oooh I love the pattern on these leggings! Love me a lazy day too. This post sounds perfect to me. I currently don't have a job so was encouraged by my blogging friends to watch Pretty Little Liars with the new season coming out soon, I watched all six seasons in 6 weeks and enjoyed all of the lazy days that came with it. I'm now prepared to watch season 7 with every one else when it comes out. Aw thank you Hannah! O.M.G PLL is the best! I was obsessed. I can't wait for the new season! My perfect day off is very similar to yours. Pyjamas, catching up with blogs and lots of tea! Everybody needs a lazy day!